Last December, I wrote an article addressing the absurdity of our lust for revenge in terms of shark culling in the wake of fatal shark attacks. Within weeks of my article’s publication, the WA government announced the implementation of what was tantamount to a shark-culling program. Some genius, with no scientific background whatsoever, figured that baited drum lines might make for a wonderful deterrent to all of those wicked sharks that might be flirting with the idea of attacking a human. You know, perform a shark culling, kill a few of the “evil” creatures, and send a strong message to the wider shark population that such “antics” won’t be tolerated in future. Amazingly, this knee-jerk response was actually implemented, despite hundreds of the world’s top marine scientists and researchers making submissions in opposition to what they described as a senseless, and even harmful, response; senseless, in that past experiments using baited drum lines had proven futile, and harmful; in that the killing of apex predators is clearly a threat to the health of any ecosystem. Well, after a three-month trial, $1.3m in government expenditure, and 68 sharks being shot and dumped at sea, logic has finally prevailed. In a welcome display of common-sense, the state’s environmental protection authority (EPA) last week advised against the planned extension of a shark culling policy, citing uncertainty about the impact of drum-lines on the white shark population…great news for those who love our oceans and have no appetite for the culling of an already endangered species. But why did the WA government fast track the implementation of a shark culling program predicated on no substantive scientific evidence? Presumably the Premier and his Fisheries Minister were well-intentioned, so why the emotional, irrational response? I suspect they fell prey to a very common cognitive error. Essentially, people judge the frequency of an event by how easy it is to recall such an event. And shark attacks are so salient in our collective subconscious that it seems that being attacked by a shark is a bigger threat than it really is. The same goes for things like airplane crashes. Such is the horror surrounding these incidents that people come to overestimate the likelihood of them occurring. But for the seven people killed by sharks in WA over the past three years, how many millions went swimming without incident? Emotion aside, death by shark wouldn’t come close to featuring on a list of the top 100 threats to Western Australians. The Barnett government would be better off spending time and money on something like reducing the number of fast food outlets. 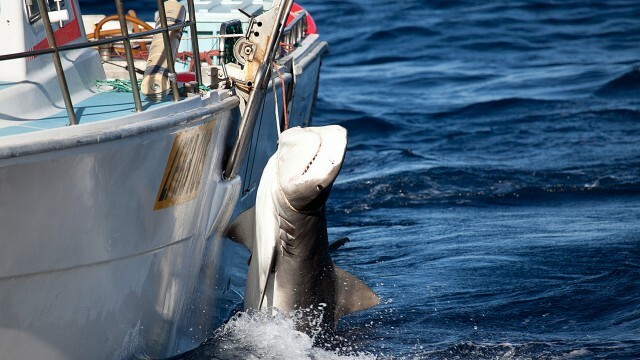 A random act such as this would save many more Western Australian lives than an arbitrary shark culling.